Blog>Fashion Futurum: how Russia is disrupting the fashion industry? The President, Alexander Shumsky, told me that the Russian Fashion Council is heavily motivated in closing the gap between fashion and technology, among designers and “startups”. Well, that definitely convinced me to fly to Moscow to see in person what was going on over there! Once arrived I realized there is a very vibrant fashion ecosystem. The Russian Fashion Council has been founded only five years ago but the ideas and projects they have respectively in mind and in place are quite interesting. First of all, the fashion shows are populated by a lot of young people. Many of the designers assign also some tickets through Instagram contests, so you can see a crowd of youngsters that attend the shows to get also some inspirations. Also, I was definitely not expecting to see a fashion label called Bezgraniz Couture – in Russian “without borders” – which is a company engaged in the creation of functional modern clothes and accessories for people with non-traditional body types. They presented a collection for disabled people and by disabled people. This is a quite important taboo that was easily disrupted by these Russian designers under the support of the Fashion Council. Fashion FUTURUM. The showcase of fashion tech startups. The last day of the Fashion week – the most important day of the Russian Fashion week – the Russian Fashion Council has hosted the first fashion tech startups show in Russia. For the first time, those startups have had the possibility to present their projects within the context of this major fashion event. The applications were open to startups in visual technology, VR and AR, customization and mobile applications. During the show, the top 12, out of 70 applications, had the possibility to pitch in front of venture capitalists and accelerators, but also fashion designers, media and fashion experts. The winner of the showcase was SuitApp, a mobile app which integrates machine learning to understand customers fashion DNA. 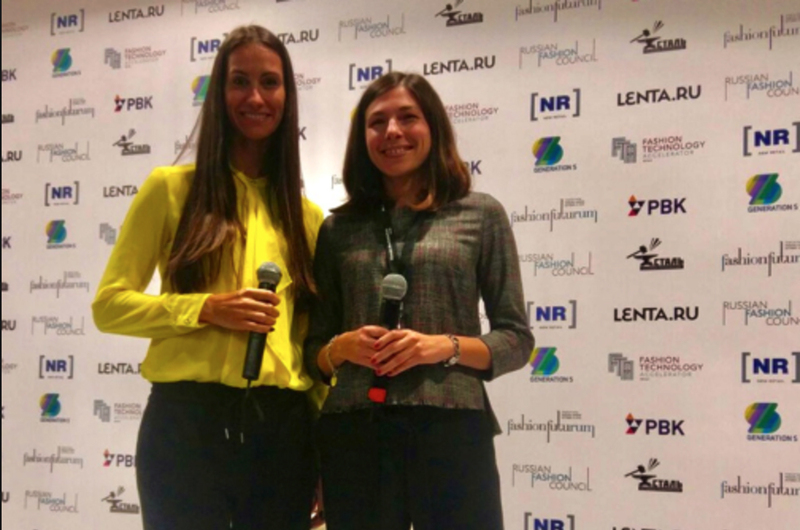 Fashion Technology Accelerator, invited by the Russian Fashion Council, has proudly been a partner of the initiative, given its international DNA and its expertise in the fashion tech vertical. Also, FTA awarded the winner with a free spot for the Fast Track program, the one-week training, mentoring and experiencing in Milan to boost fashion tech projects. So we will be welcoming Elena Chuiko, the founder of SuitApp in Milan for the next Fast Track edition. Another interesting project who won the access to Slush conference, awarded by GenerationS – the public major accelerator for technology projects in Russia – is Metro Mask. They have designed a fashion mask anti-pollution, there is no doubt unfortunately that we are going to need those masks, so why not wearing them as a fashion accessory as we have done with headphones? And the opportunities for fashion tech startups are not ended with the Fashion Week, right after that the Fashion Hackathon took place and this was addressed to Fashion Wearable, Fashion Retail, and Fashion Sports. Interesting and amazing projects popped up, too many to mention just one. We definitely look forward to continuing FTA collaboration with the Russian Fashion Tech startup ecosystem! Giusy Cannone is the Managing Director of Fashion Technology Accelerator.